Sometimes, when such utter brilliance is witnessed, a comparatively simplistic appraisal seems to capture the moment more effectively than a magniloquent essay. To summarise, Sergio Agüero’s Manchester City debut was absolutely bloody fantastic. ‘Decent’ works too. And that’s all there is to it. It was 15th August 2011 and City were to face newly-promoted Swansea City at home. Only 18 days prior to the opening day of the 2011/2012 season and 24 days after Carlos Tevez had announced his intention to leave Manchester to be ‘closer’ to his family in Argentina, the club had broken their transfer record to sign 23-year-old Atlético Madrid forward Sergio Agüero for £38m. In an age where the word ‘Vine’ had not yet seeped into the lexicon of the Twitterati and City’s official Twitter account was tweeting things like “Micah hacked down like a giant tree!”, City supporters had no idea whether the Argentine would be another Jô, or perhaps the best player they’d ever seen in a Blue shirt. This was a time long, long ago when transfers were still exciting and the details of a potential signing’s toilet habits were not plastered all over the internet for purposes of advert money every five minutes. Nevertheless, with a FIFA 12 rating of 87, 18-year-old me was optimistic. I’d seen the damage ‘Kun’ could do against a fully kitted out Barcelona side on virtual turf. It took just two minutes for Agüero to confirm that he was pretty good on real life grass, too. 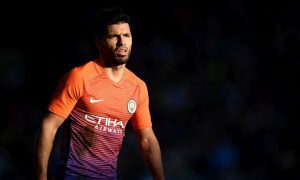 Coming on as a 59th minute substitute for Nigel De Jong, the stocky South American, his eyes wide and chin titled upwards like a viper tasting the air around him, Agüero went in for the kill. Turning his man on the edge of the box, Agüero immediately stung the palms of Michel Voorm with a sweet left-footed effort. There would be more to come. City were 1-0 courtesy of a 56th minute Edin Džeko tap-in, but that goal had seemingly been forgotten about. All eyes were now fixated on the £38m man; this was now the Agüero show. 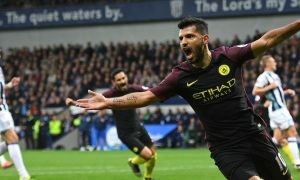 The inevitable finally happened in the 68th minute when Agüero slid at the far post to meet a Micah Richards cross and make it 2-0. The first man to congratulate him was David Silva – and the embrace that followed would mark the beginning of one of the Premier League’s most deadly partnerships. Agüero’s intelligence in the box was always going to combine deliciously with Silva’s vision, and the pair mingled to devastating effect once again just two minutes later. Skating onto Džeko’s smart clip into the box, Agüero lobbed the oncoming Voorm and volleyed a sublime ball from the byline into Silva who made it three. It was an eyes-in-the-back-of-the-head assist that even Silva would have been proud of and a move that had Roberto Mancini applauding on the sidelines. Agüero had now ticked the speed demon, goalscorer and provider boxes and it was beginning to look, as Hart commented at the final whistle, ‘like £38m well spent’. And then, in a sort of final bow, Agüero, picking up the ball 25-yards from goal, opened up his body and sent a screamer into the bottom corner. The ball seemed to roar its way into the back of the net. It was a strike packed with every single newton of power from that muscular right quadricep of his – a strike that ensured the club would be selling a few more tickets that season. Sergio Agüero, the man set to become Manchester City’s greatest ever goalscorer, had arrived.